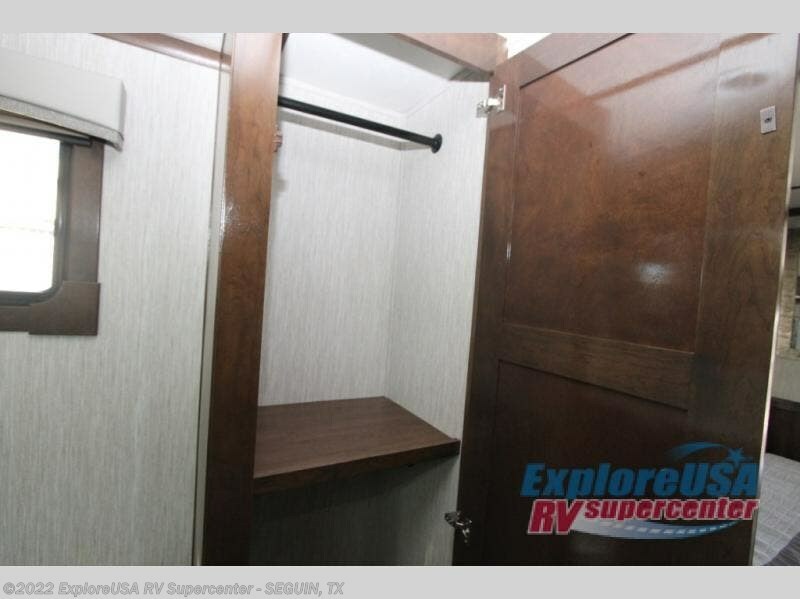 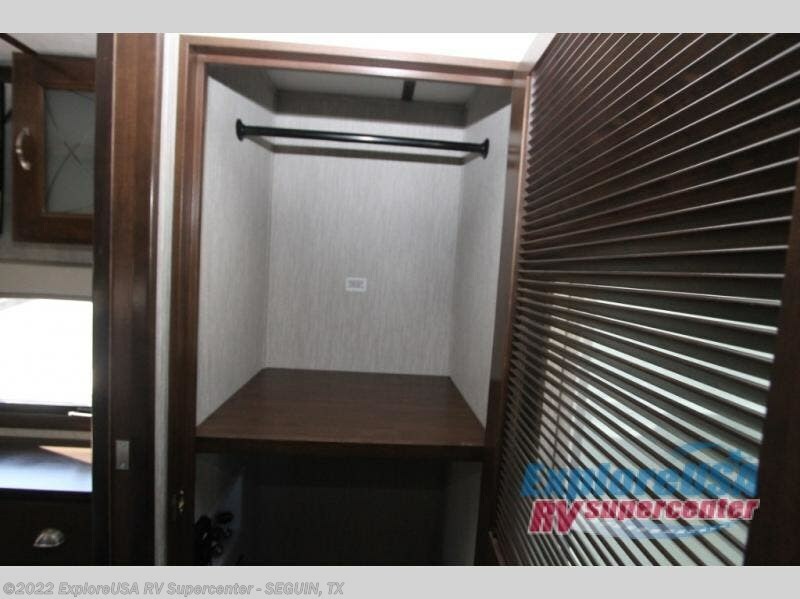 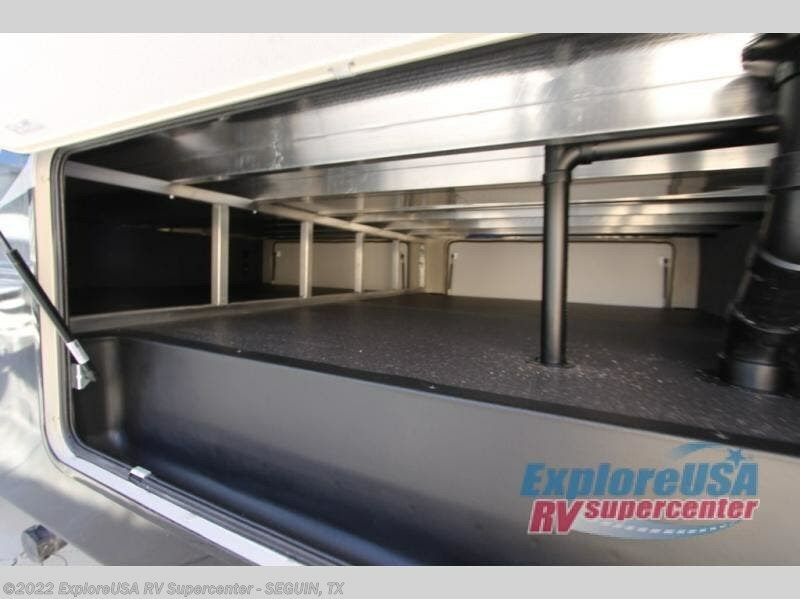 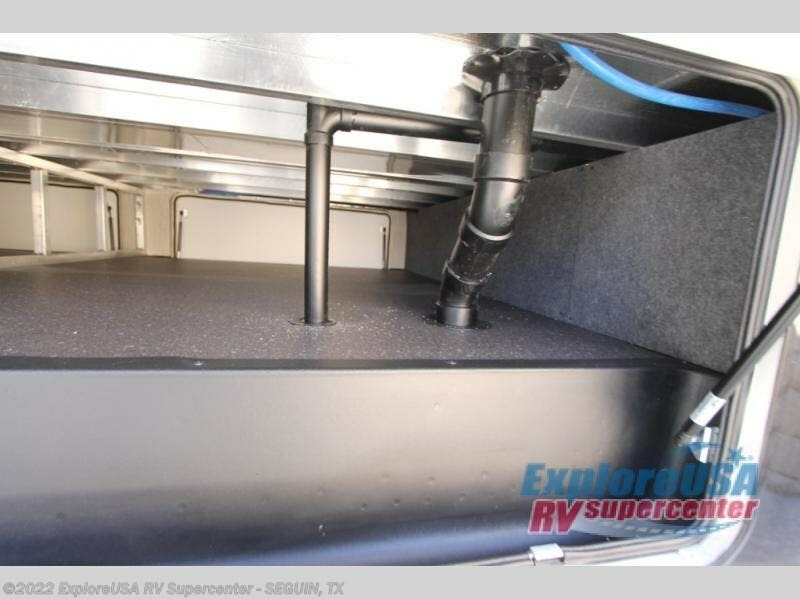 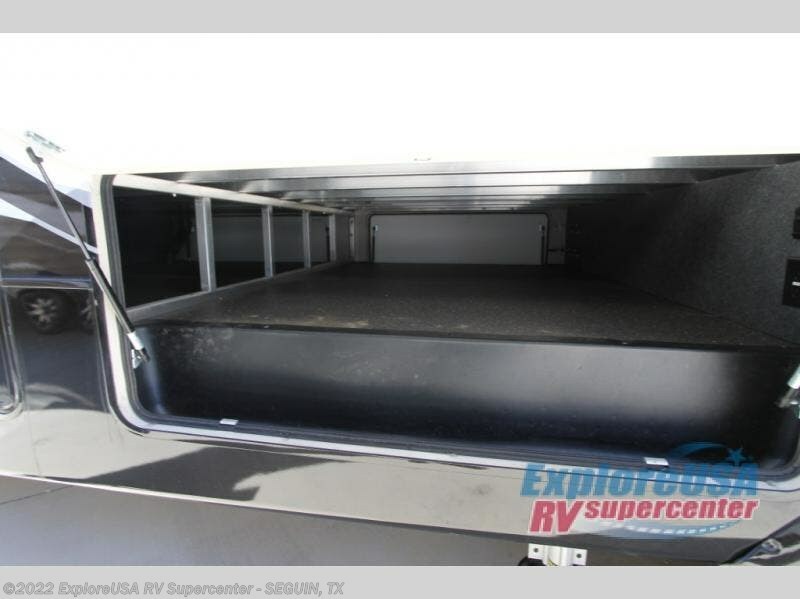 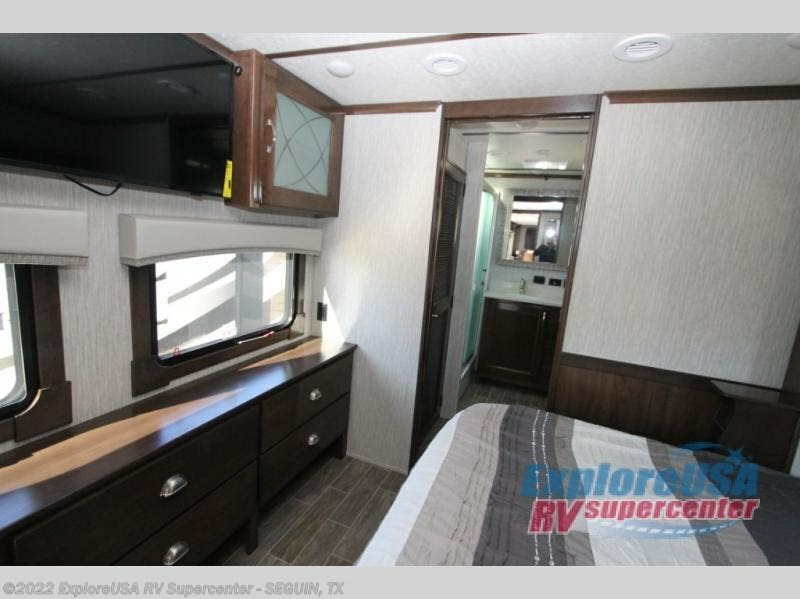 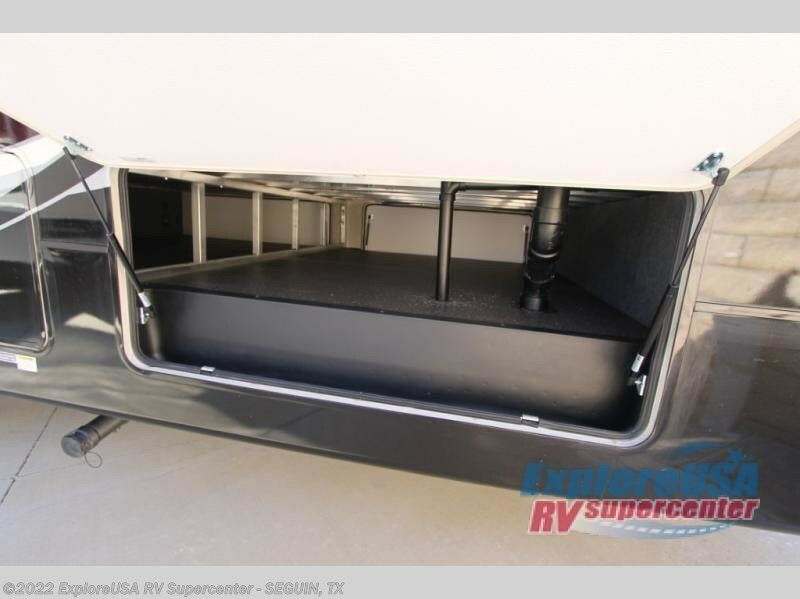 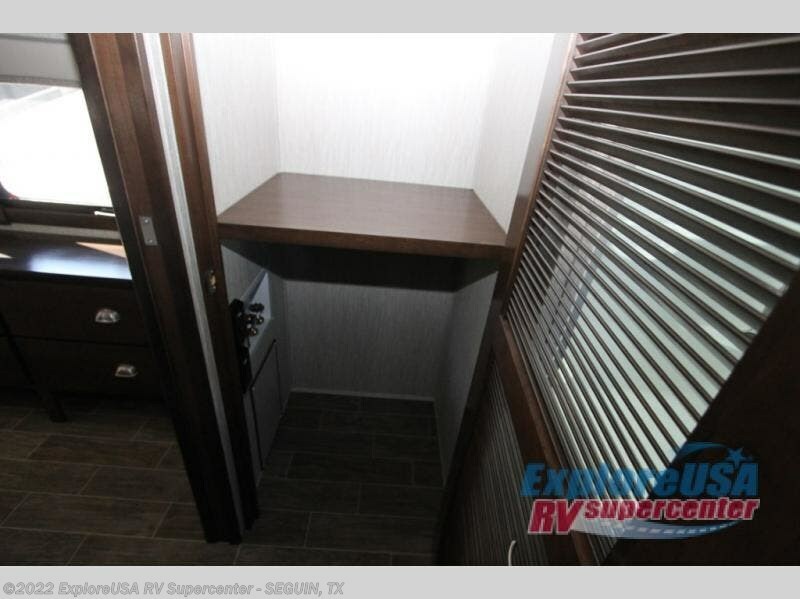 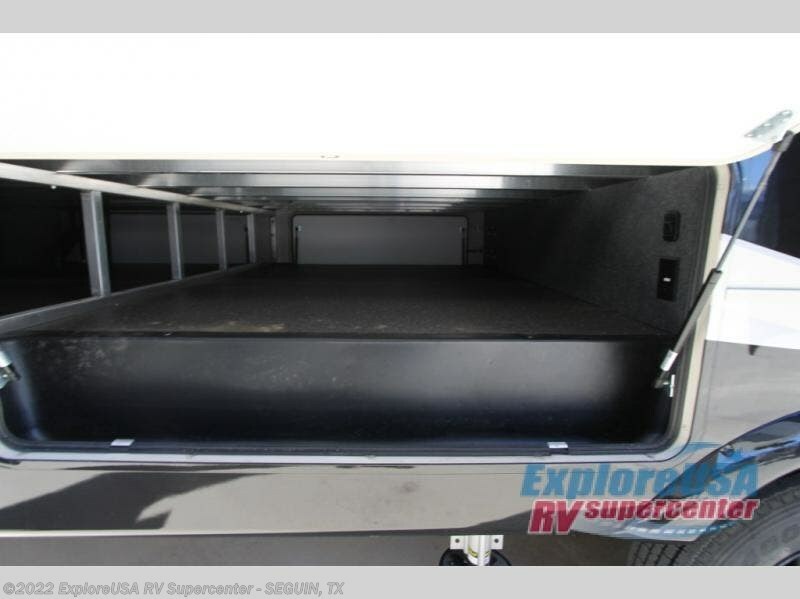 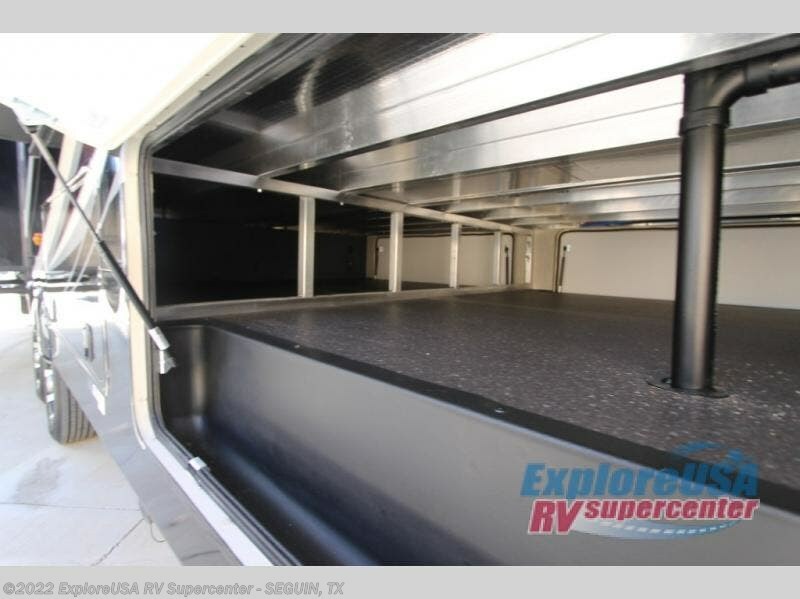 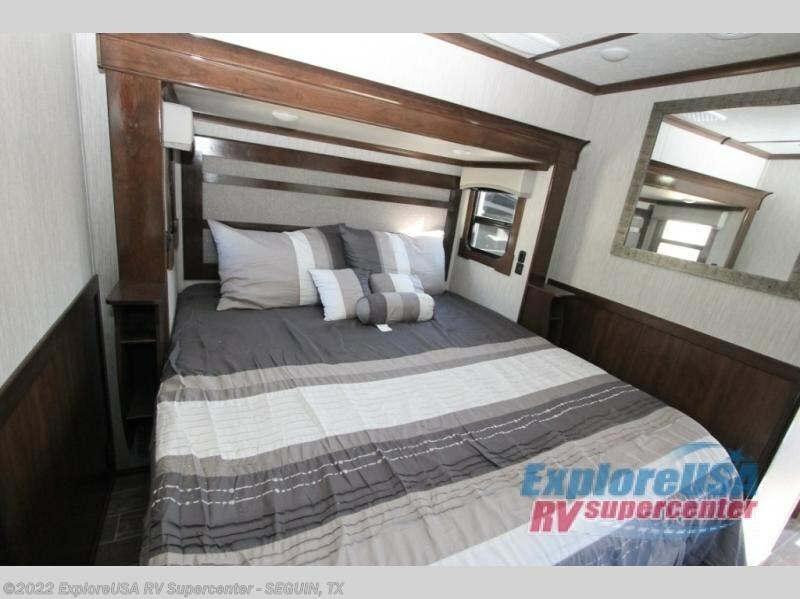 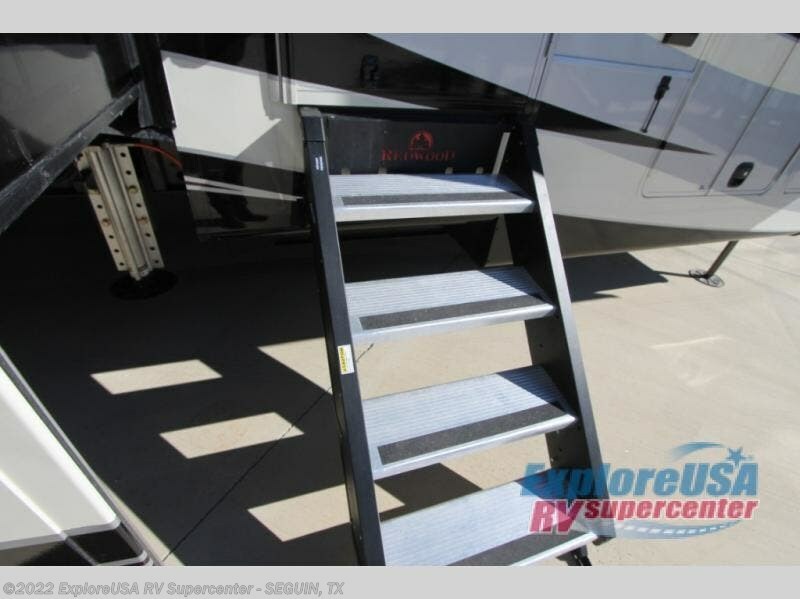 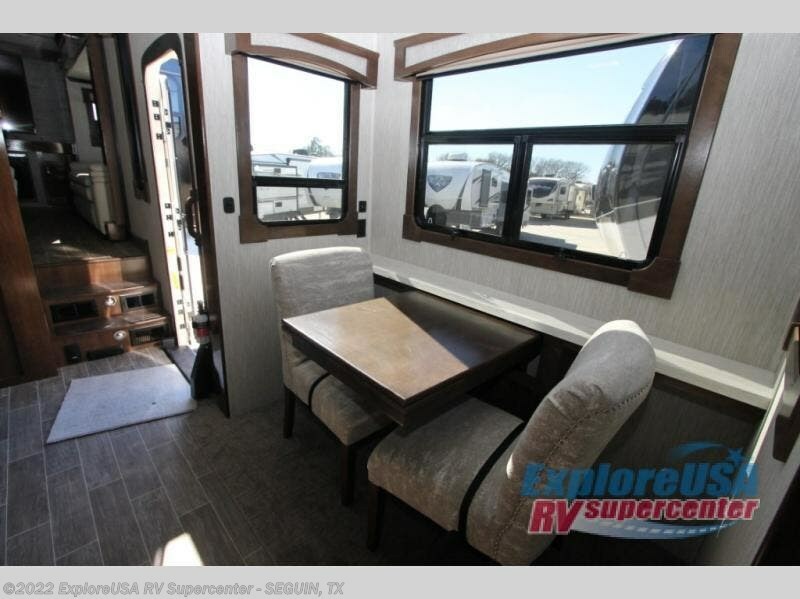 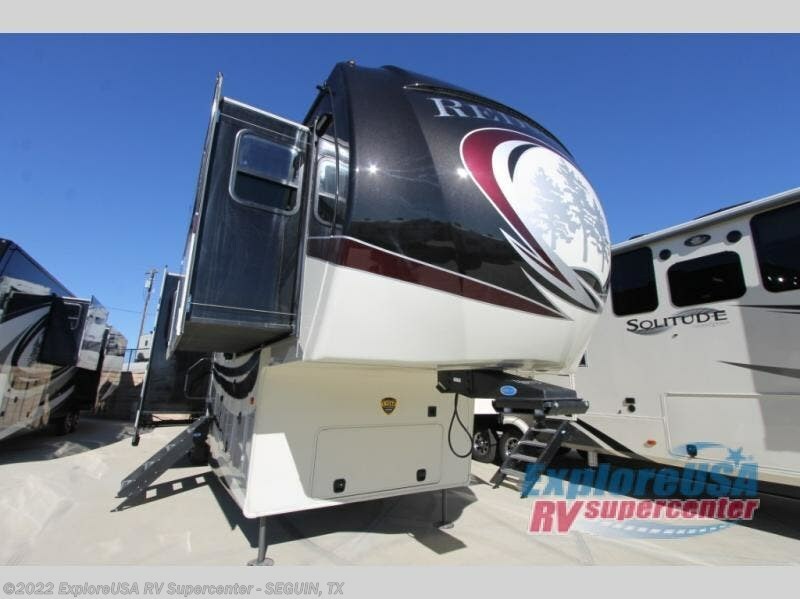 This fifth wheel has everything you need to make your next vacation comfortable and fun. 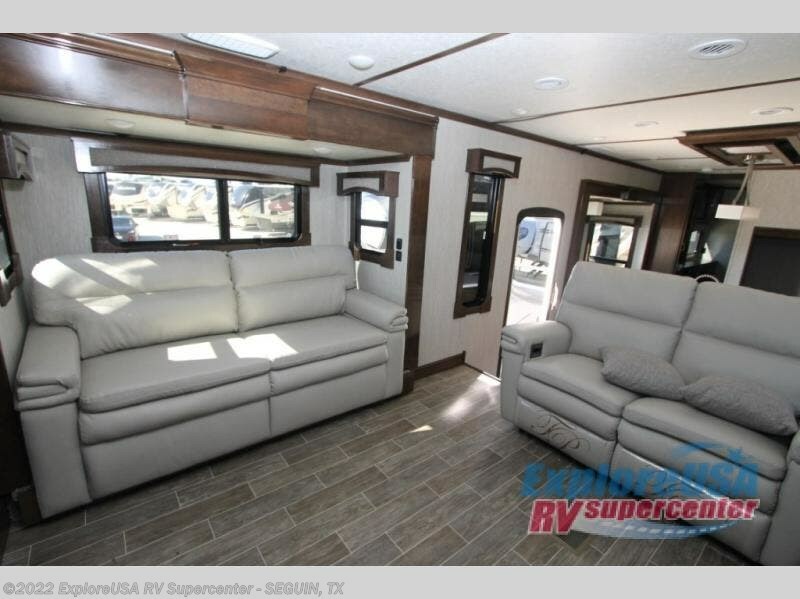 With a front living area that includes two sofas, theater seating, and a 65" TV, you'll never want to go home. 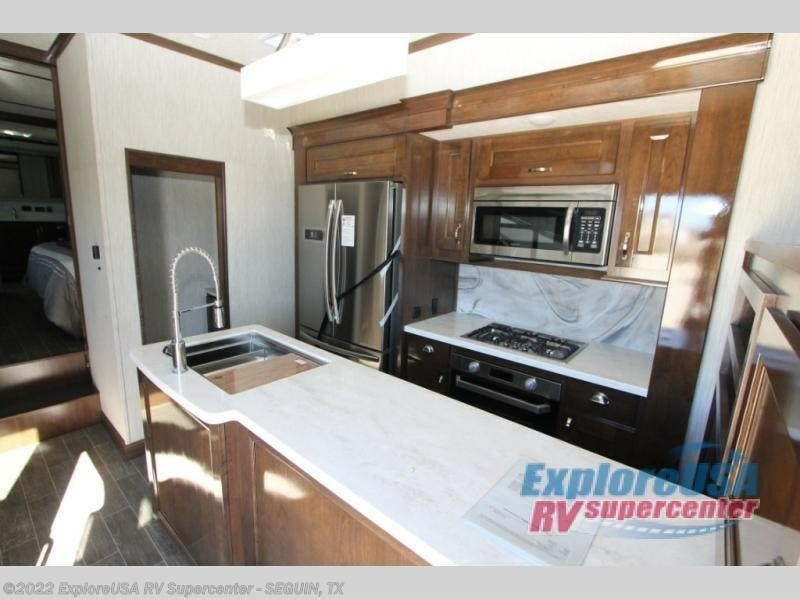 Enjoy the large kitchen with a pull out wast basket for your convenience, and a counter peninsula with bar stools the kids will love eating a snack on. 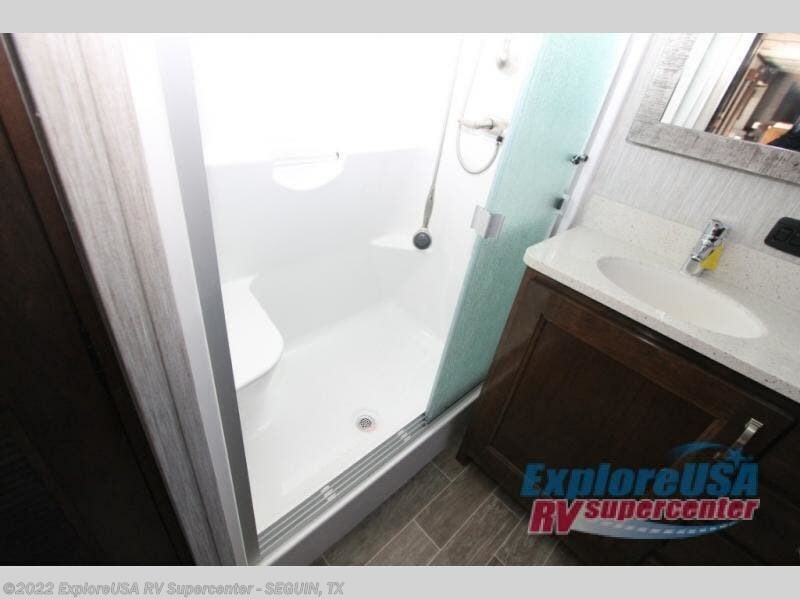 Step up into the rear bedroom that features a king bed, and a walk-through bath, which includes a double sink vanity, and an optional washer and dryer in its own closet. 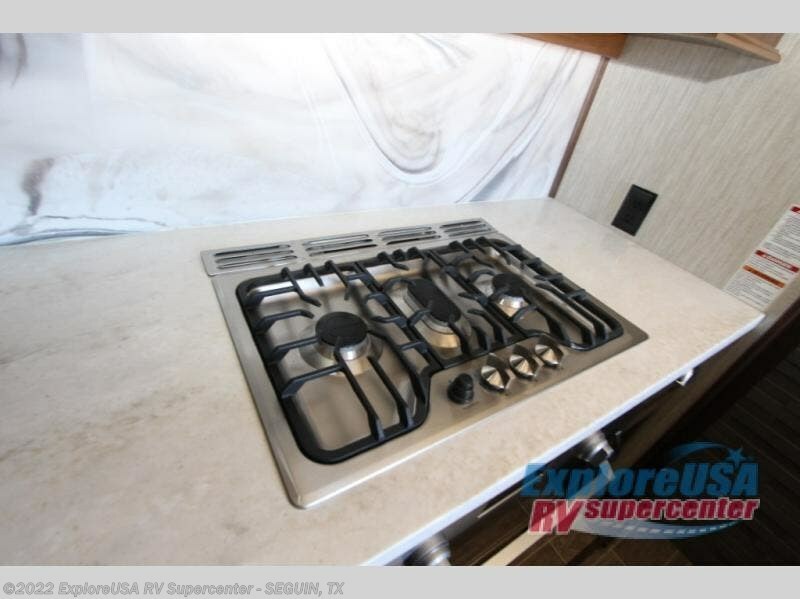 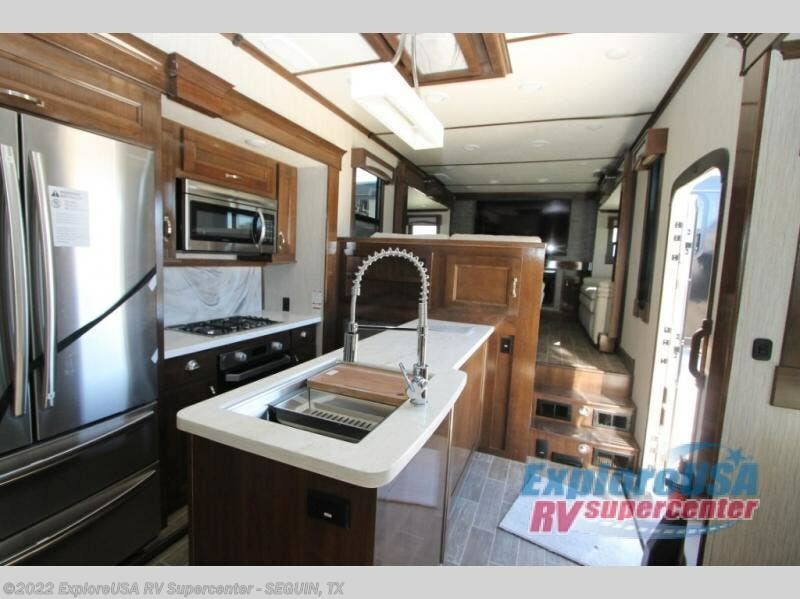 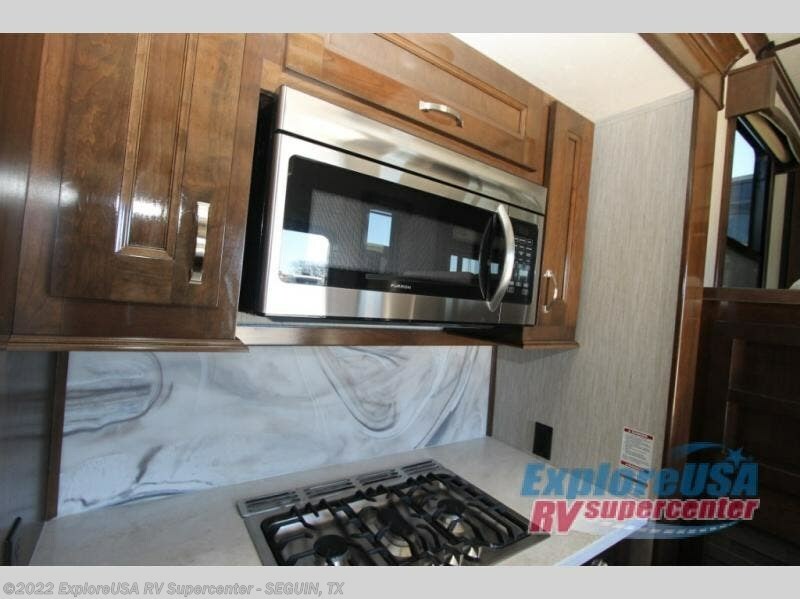 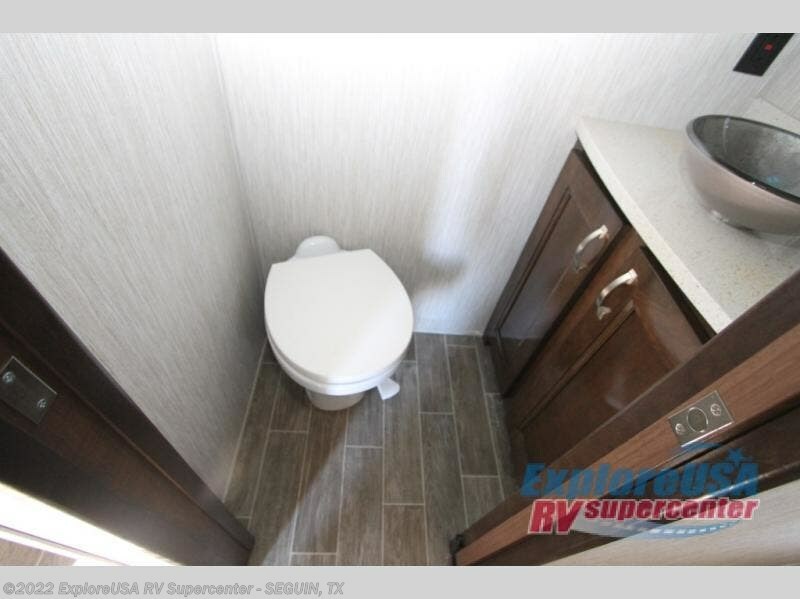 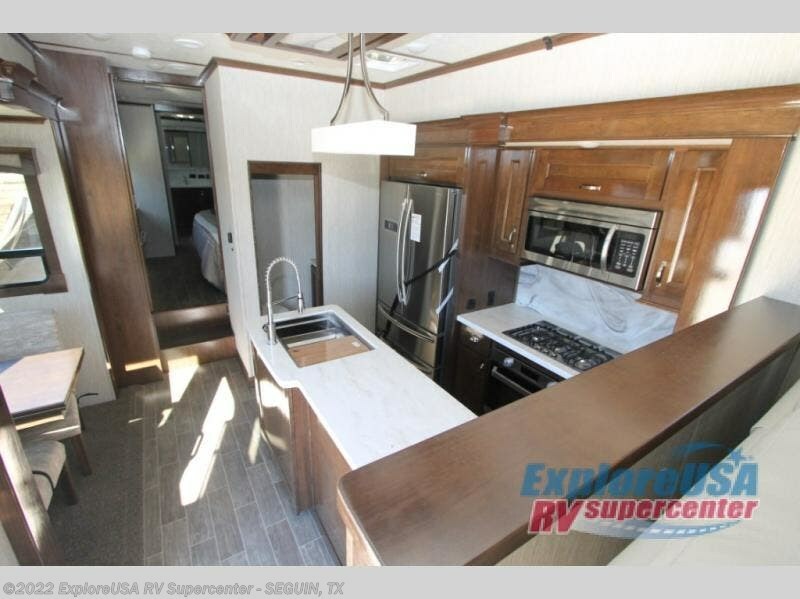 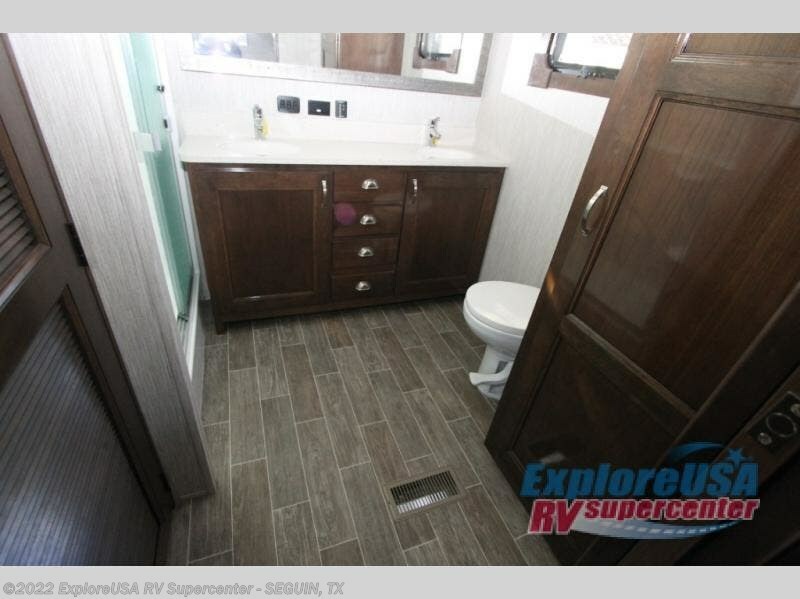 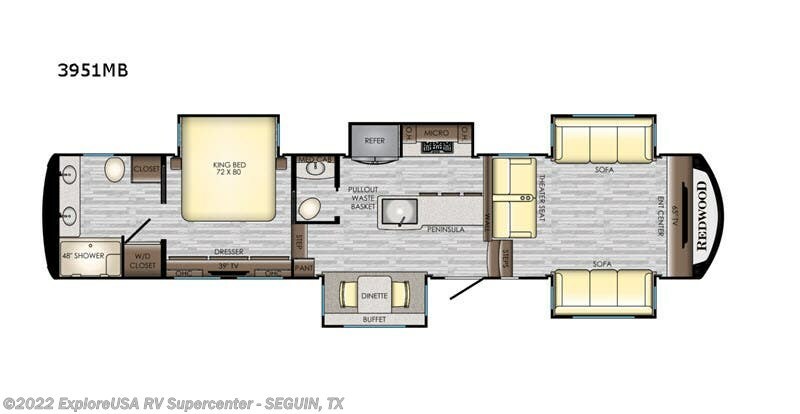 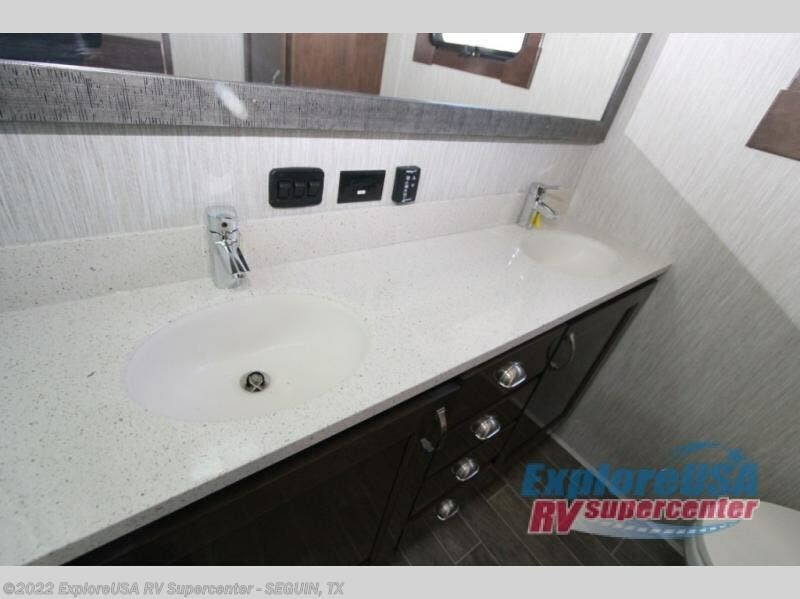 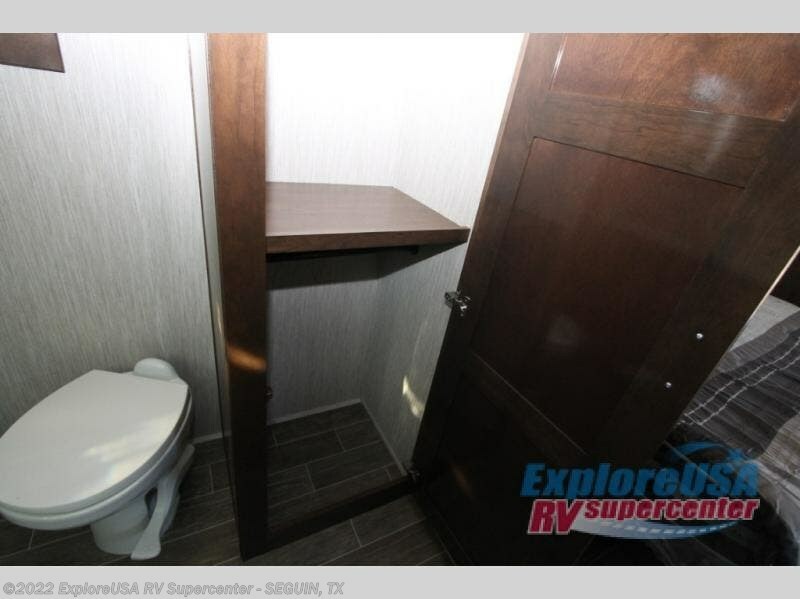 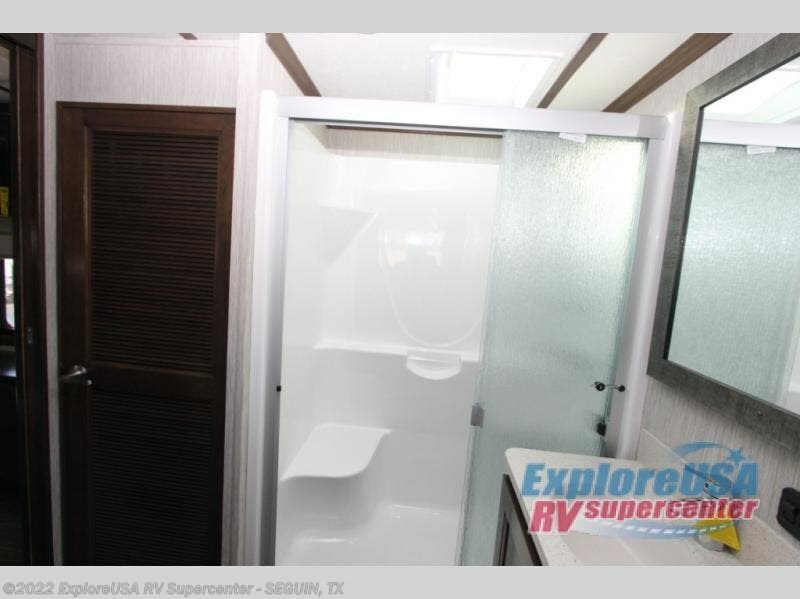 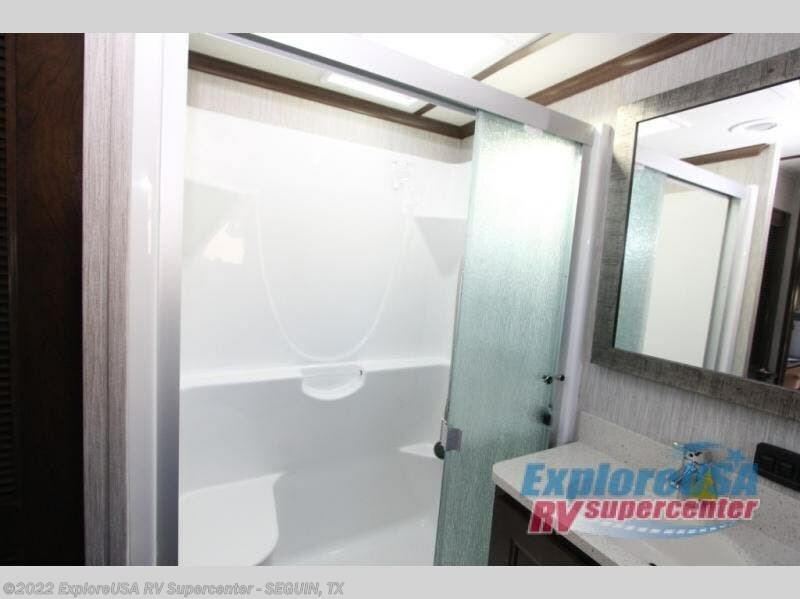 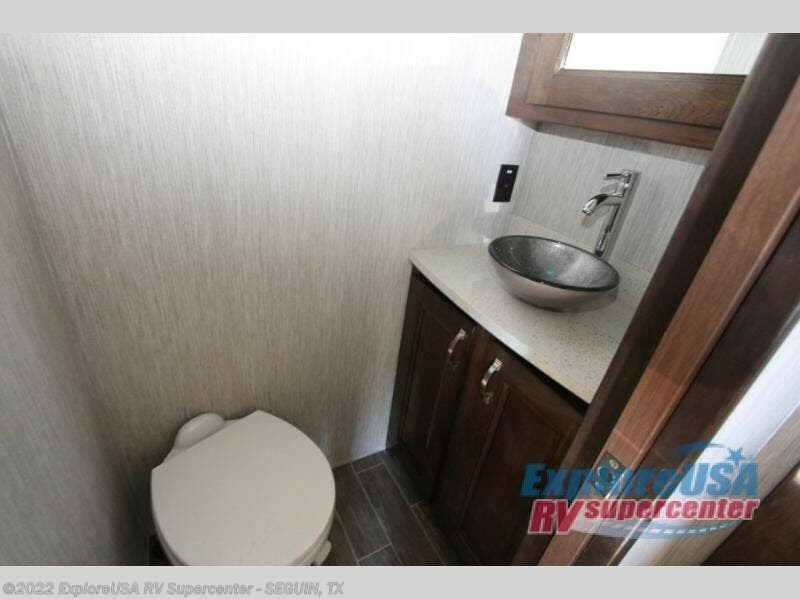 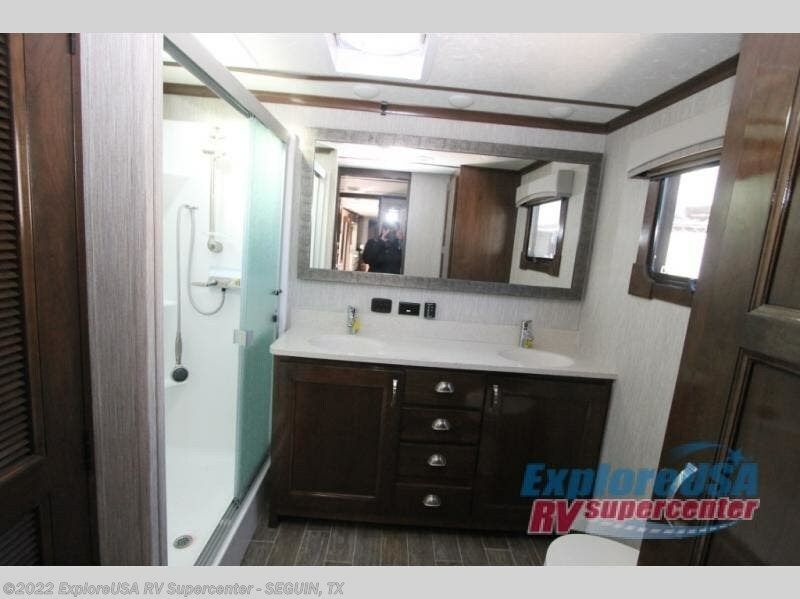 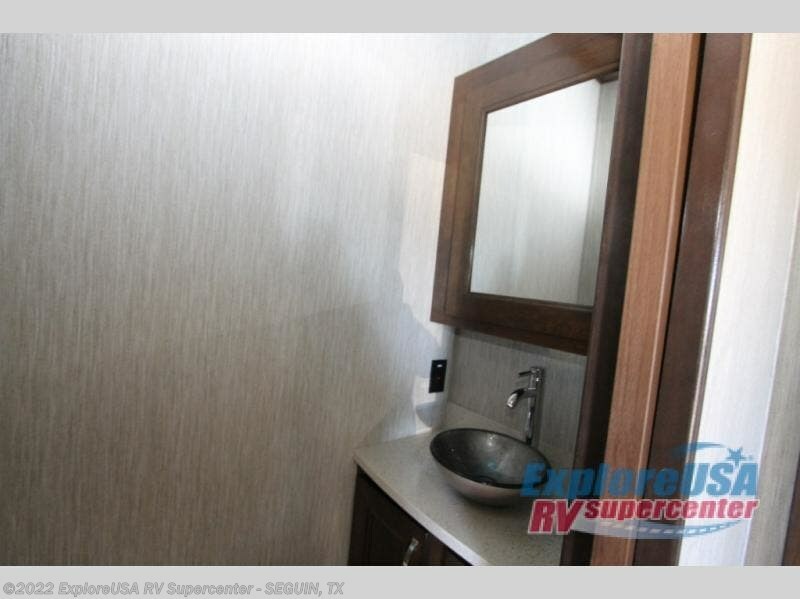 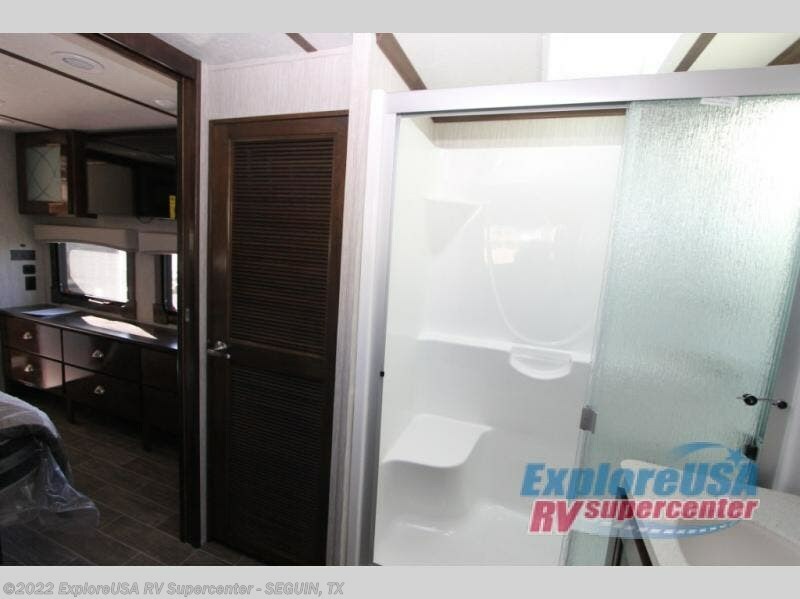 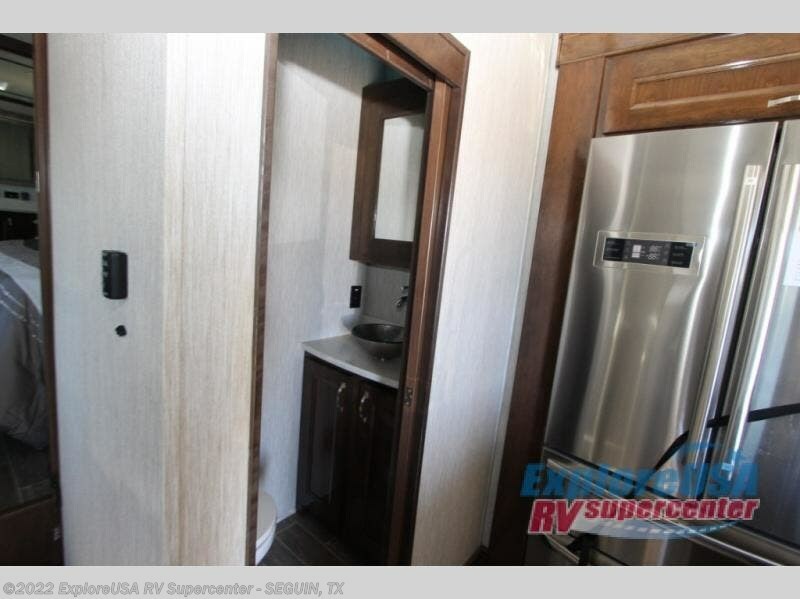 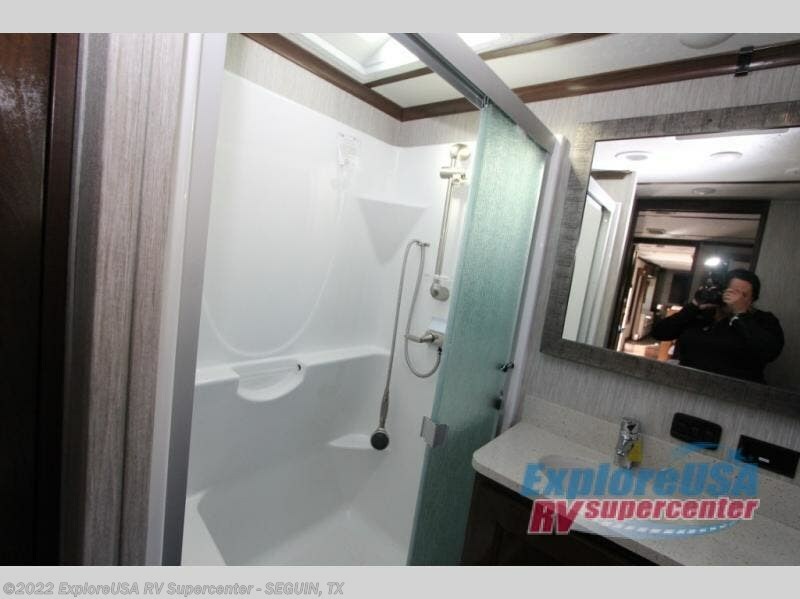 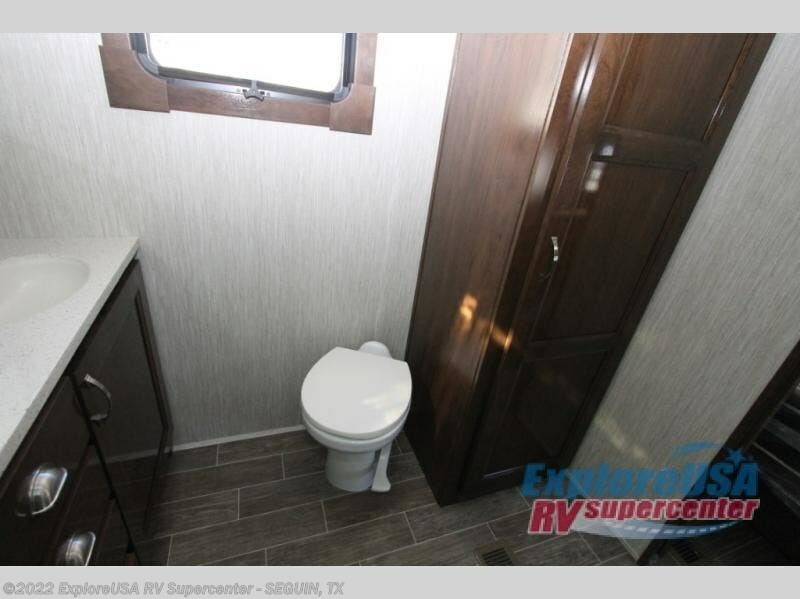 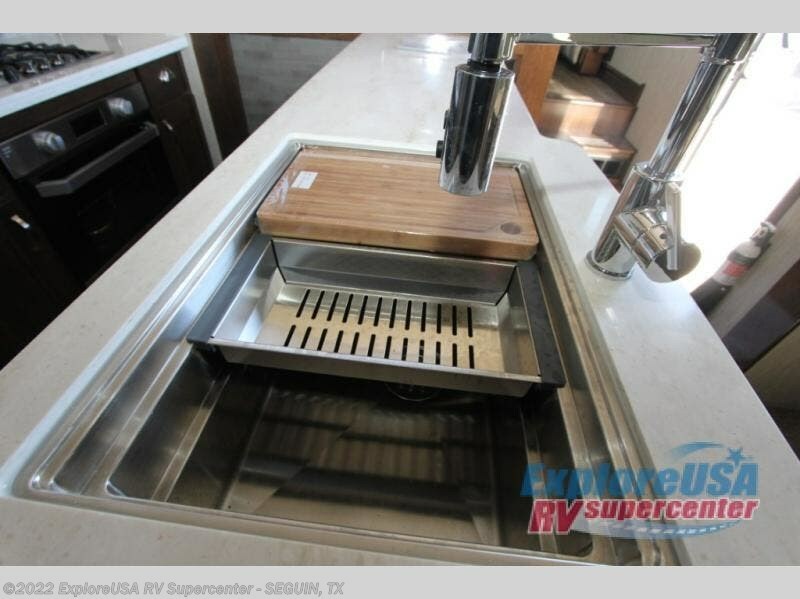 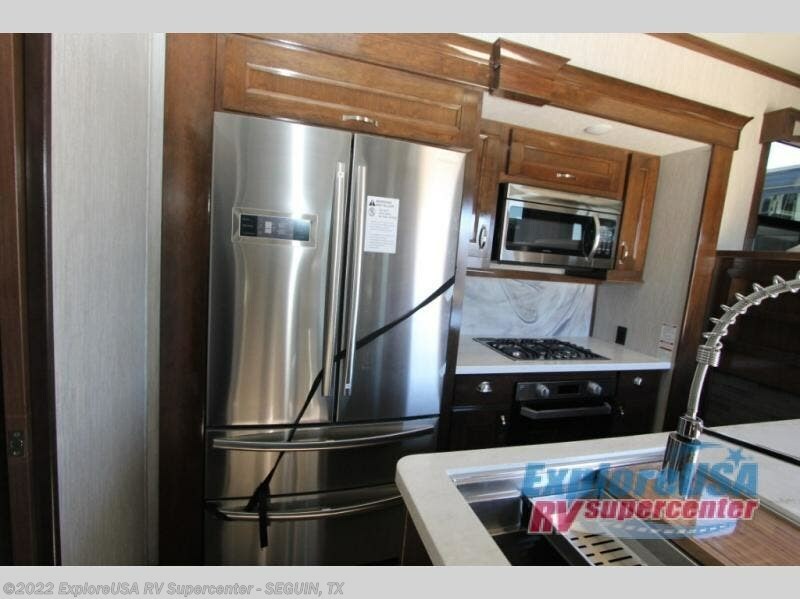 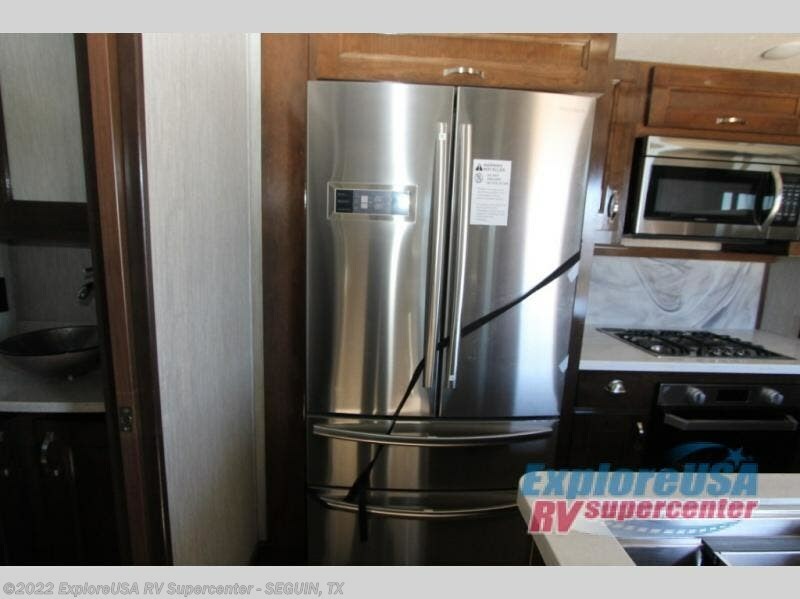 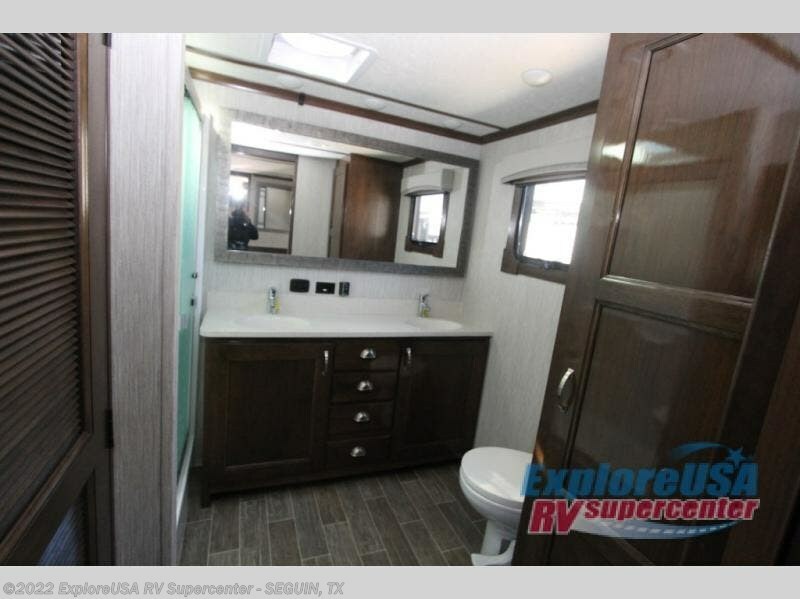 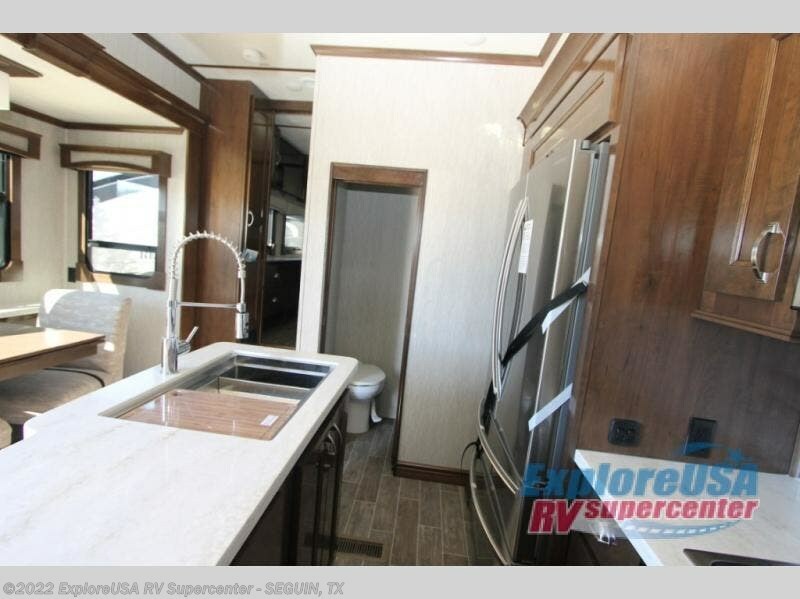 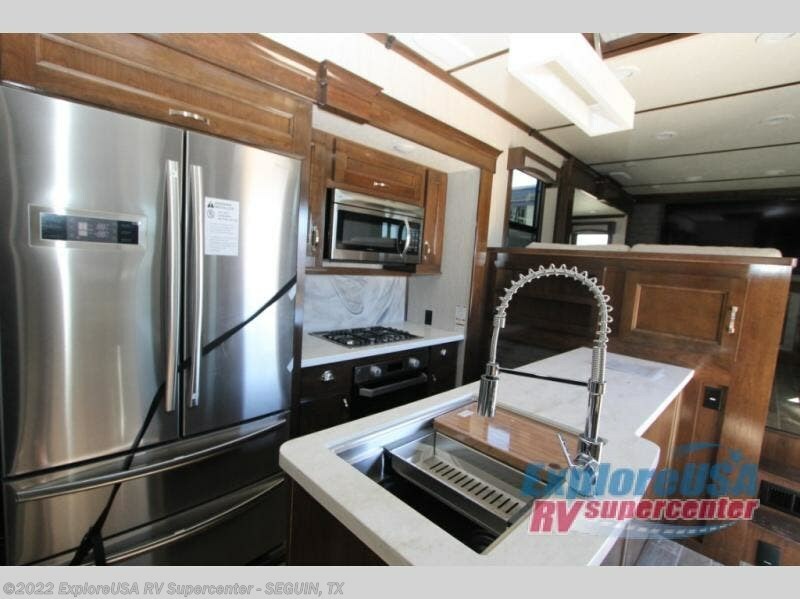 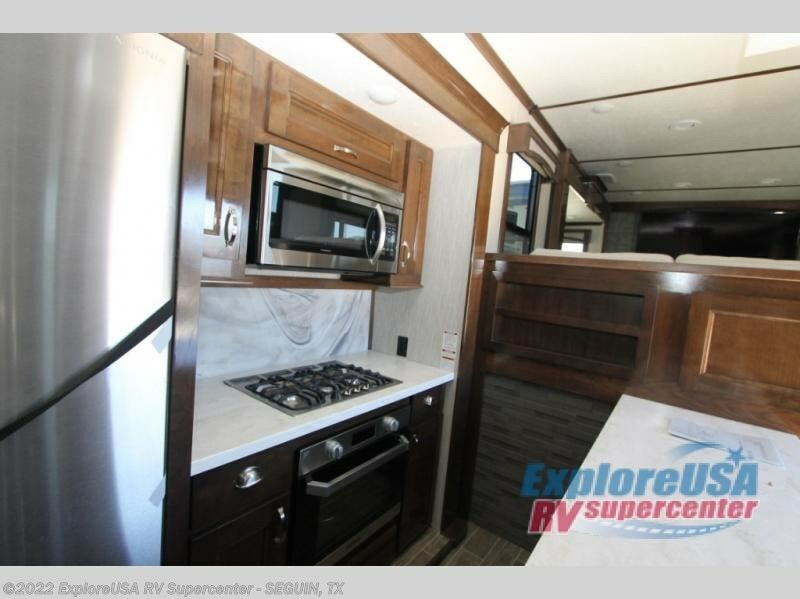 You'll love everything about his fifth wheel, from the bath and a half, to the dinette with a buffet, to the pantry in the kitchen. 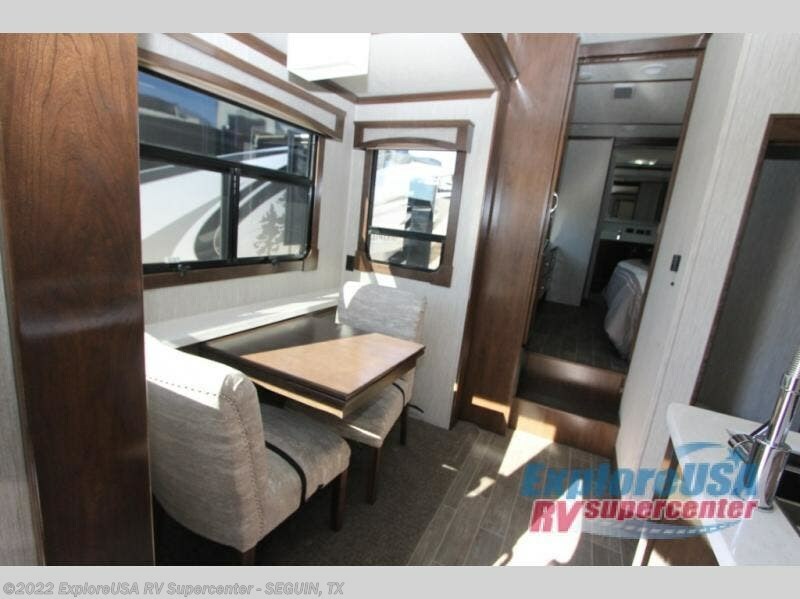 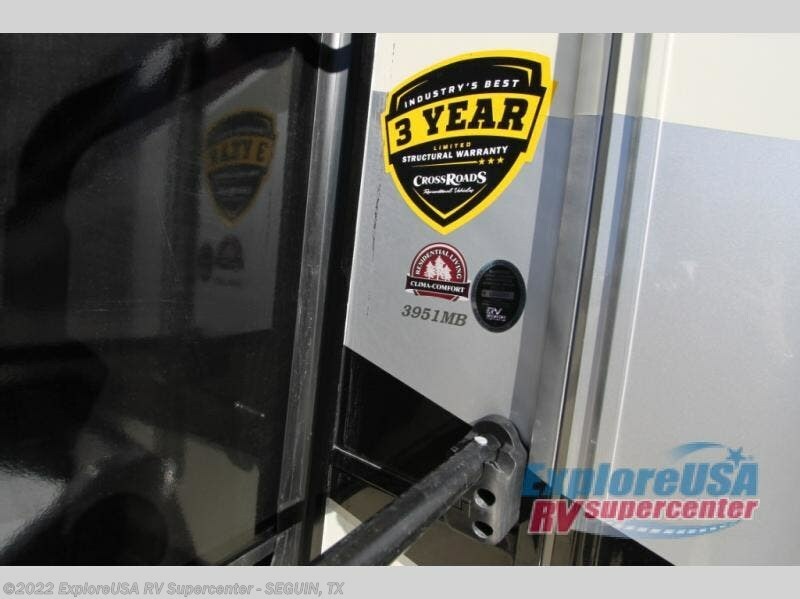 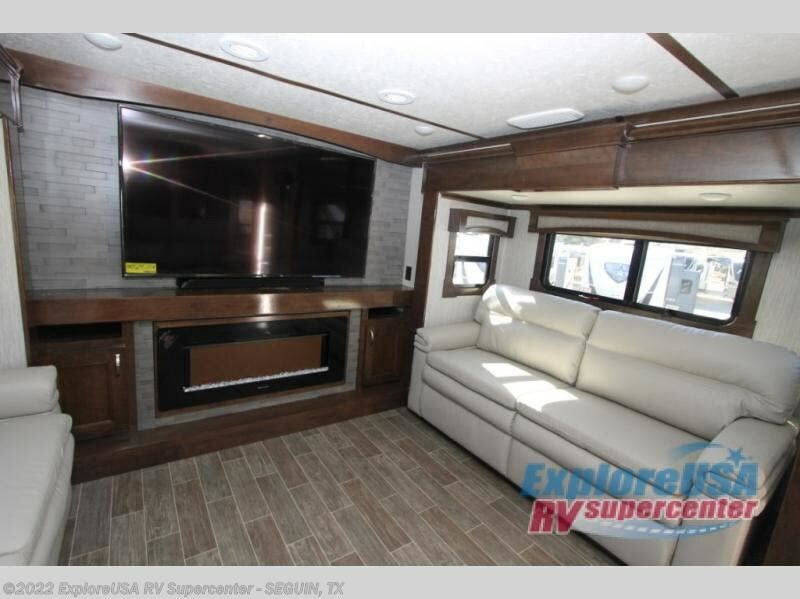 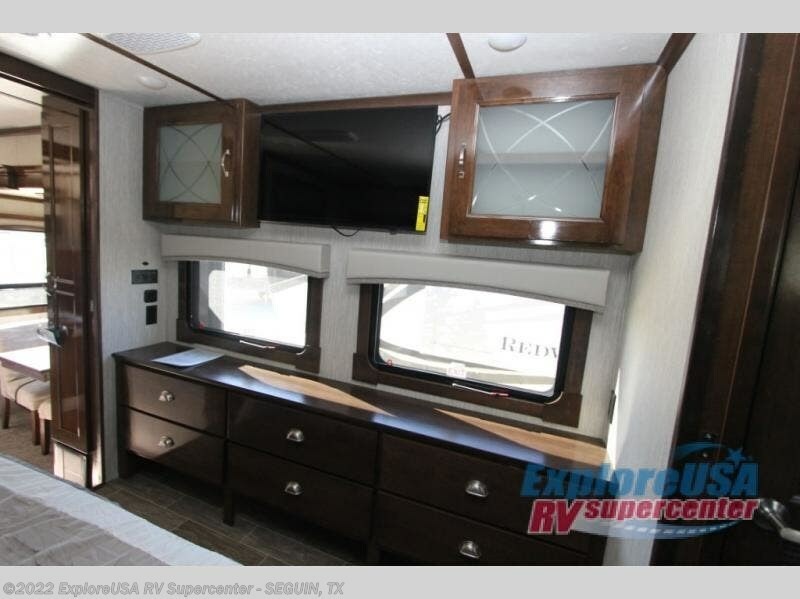 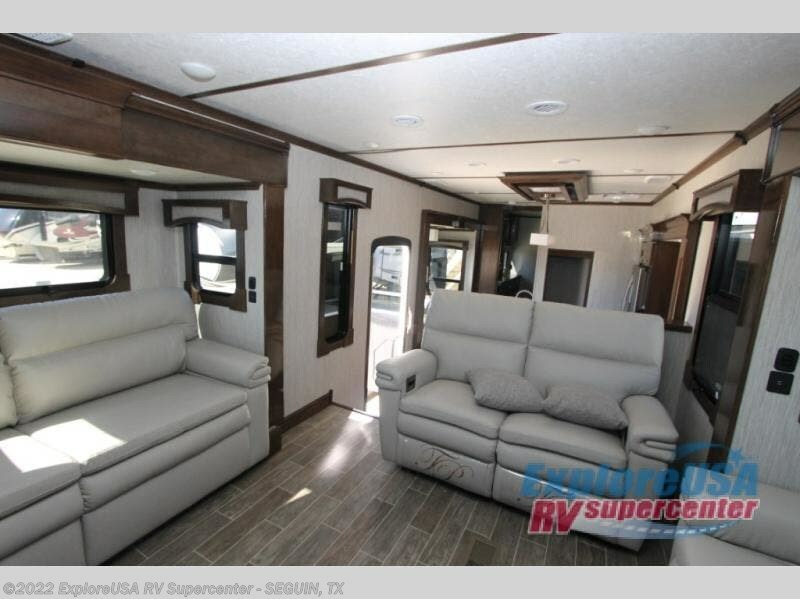 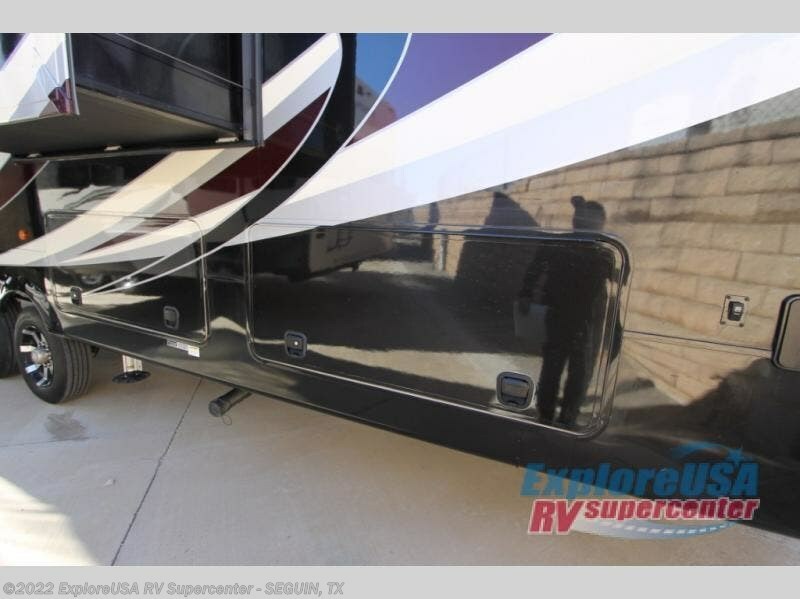 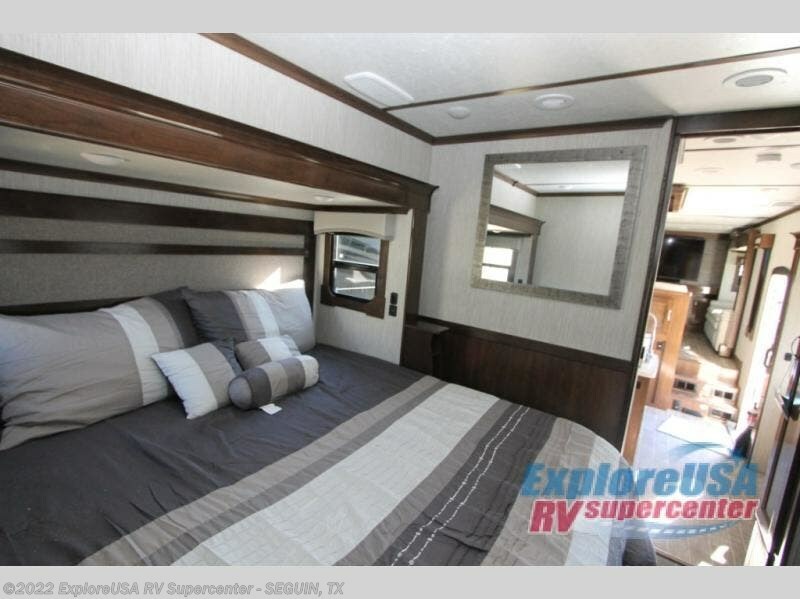 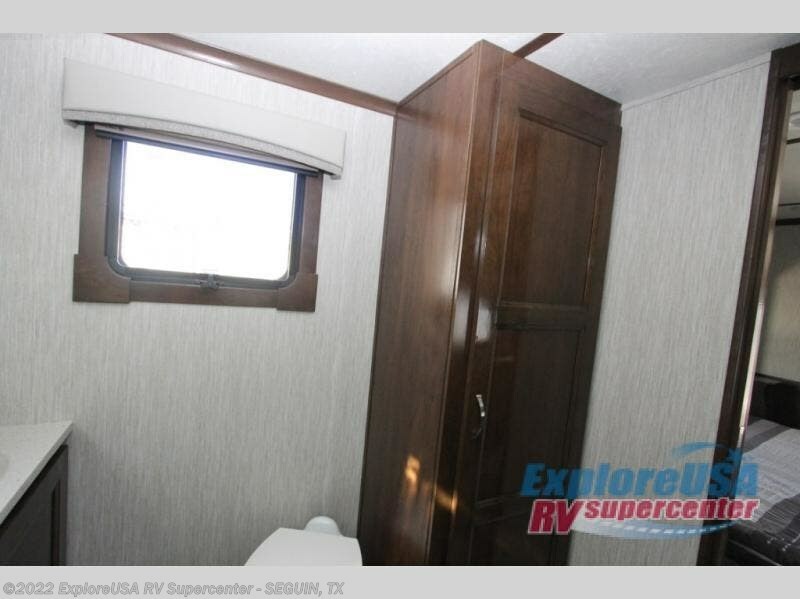 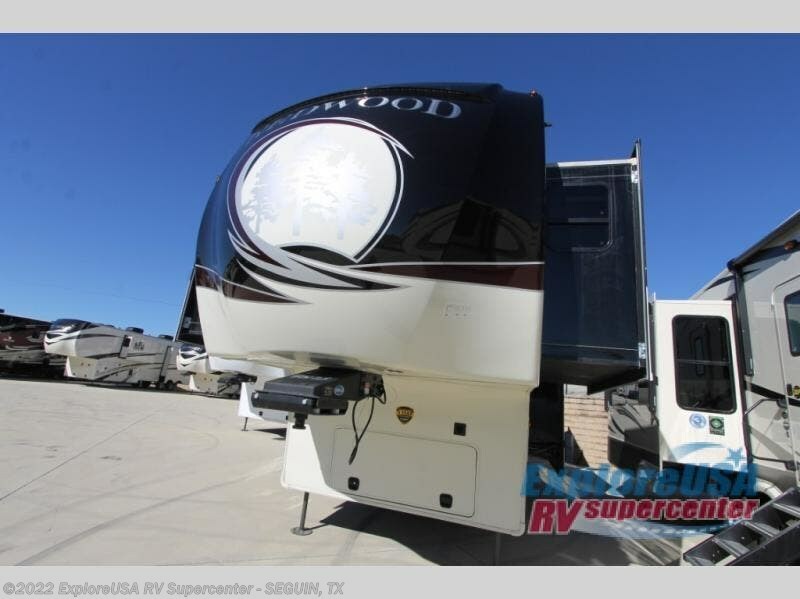 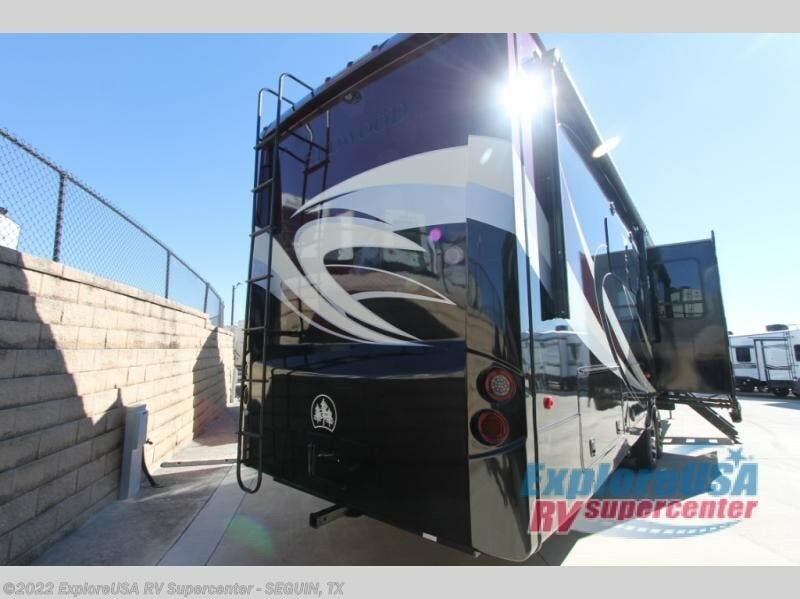 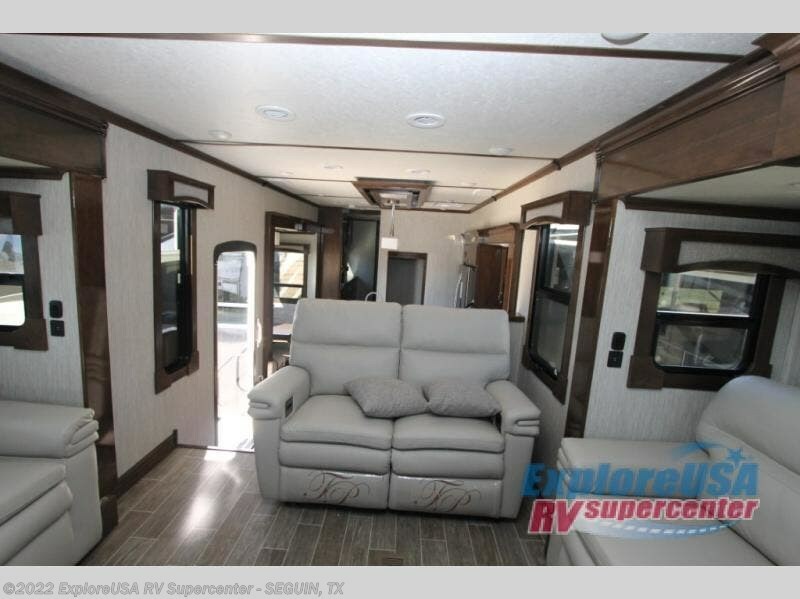 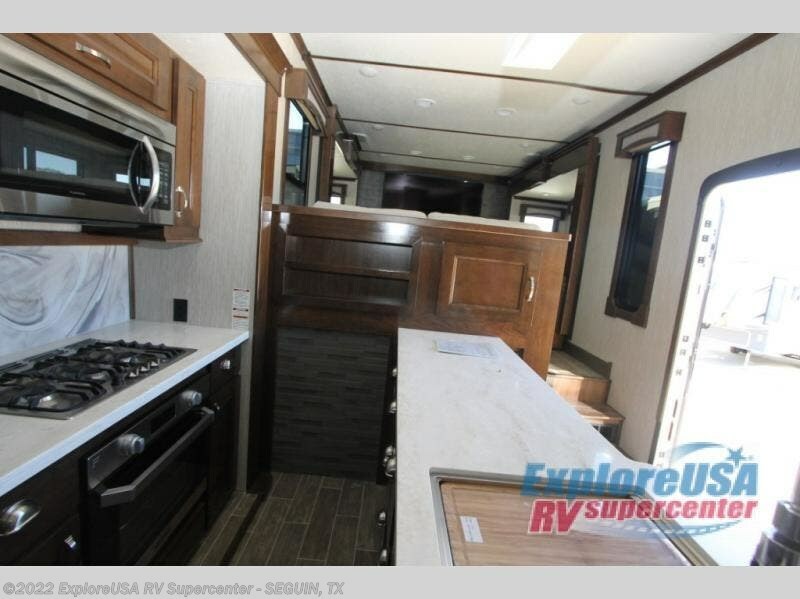 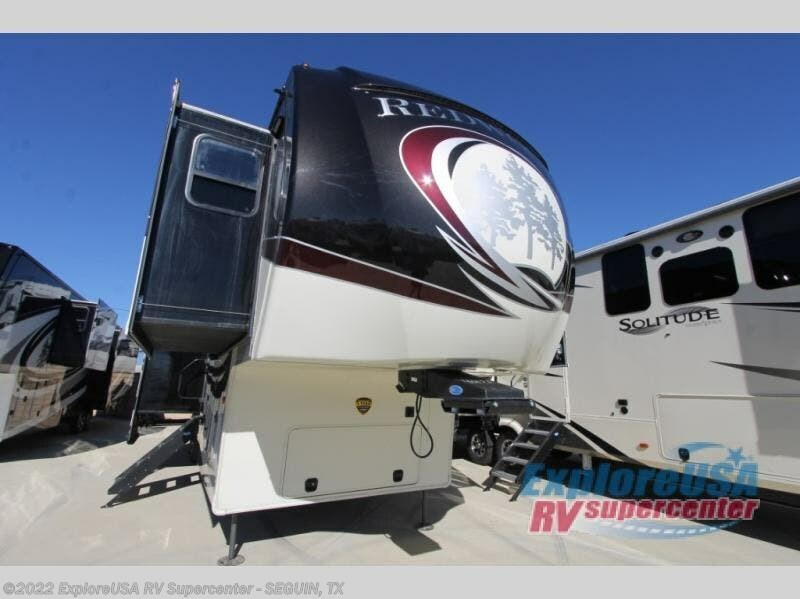 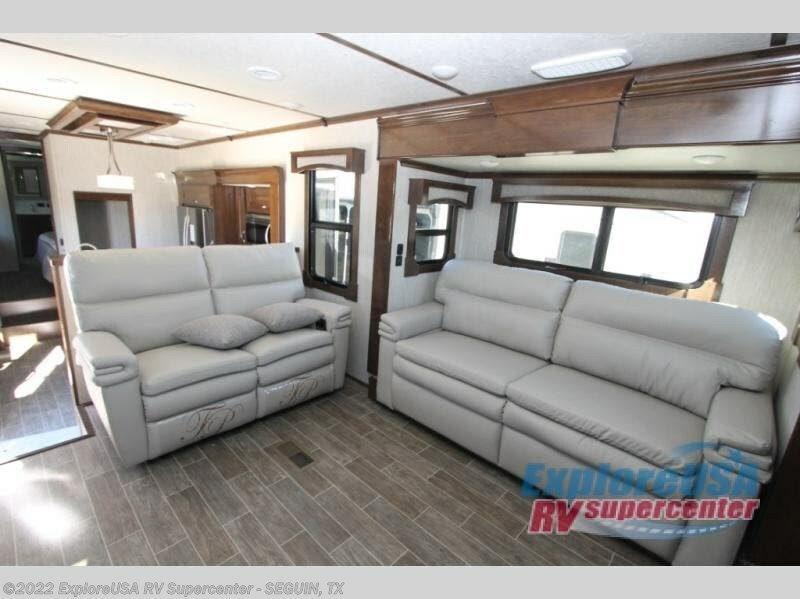 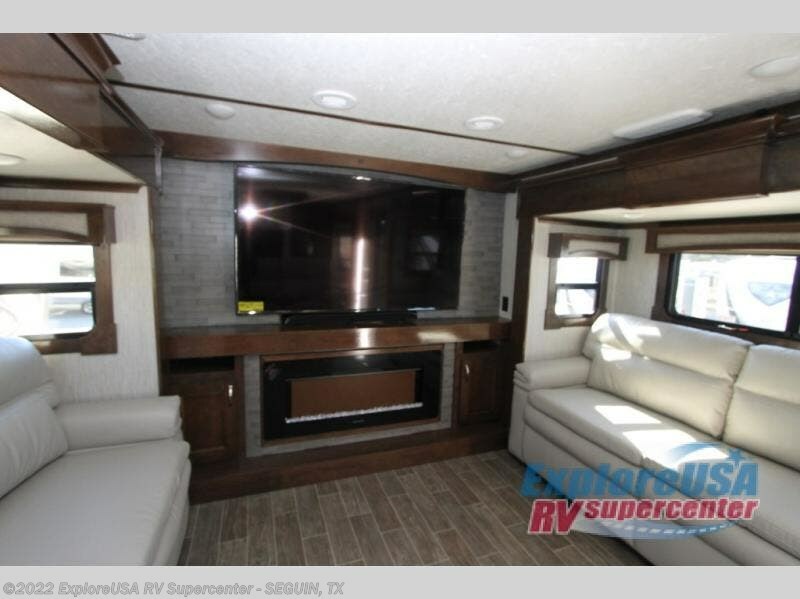 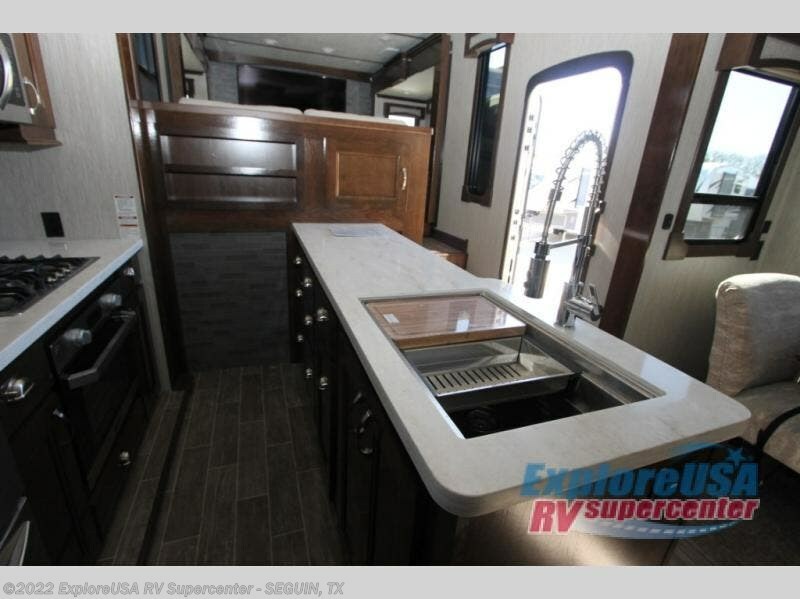 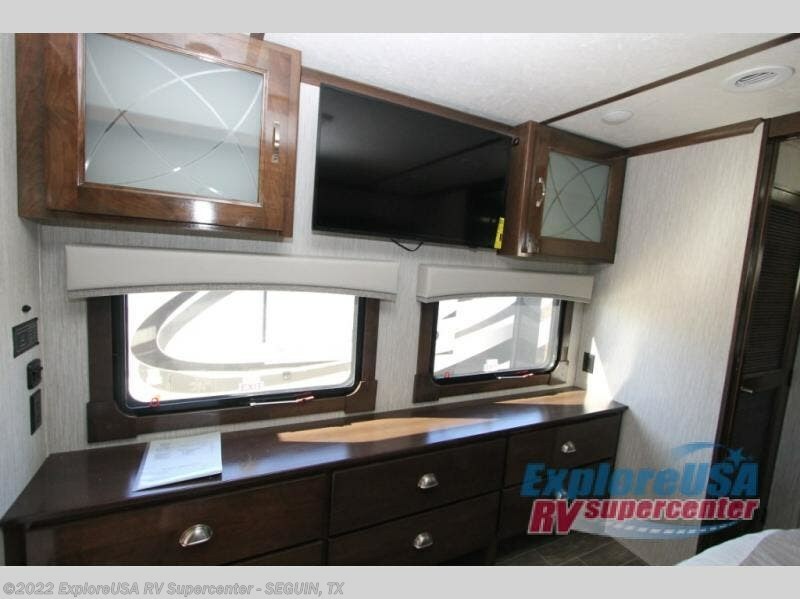 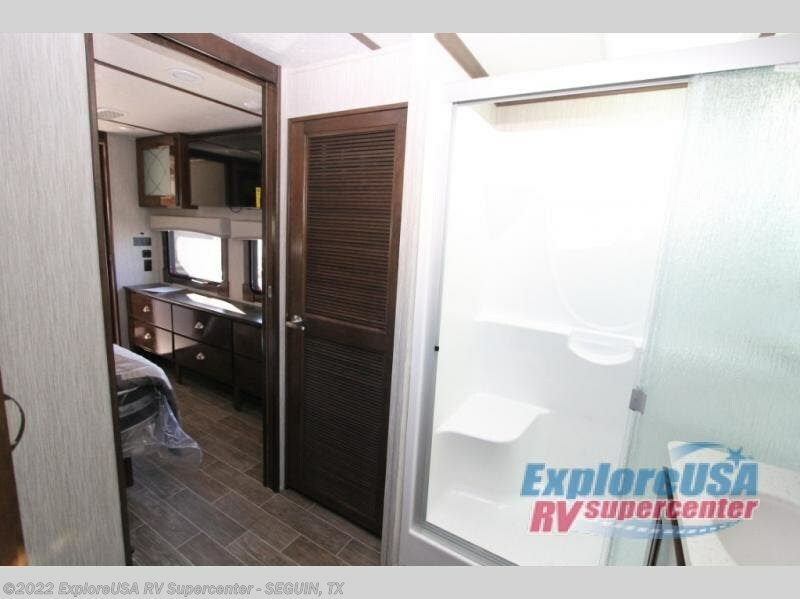 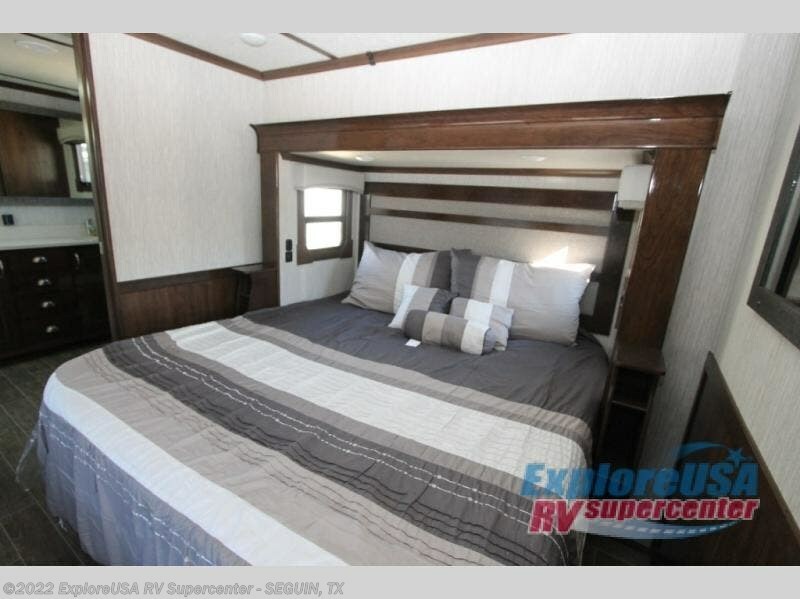 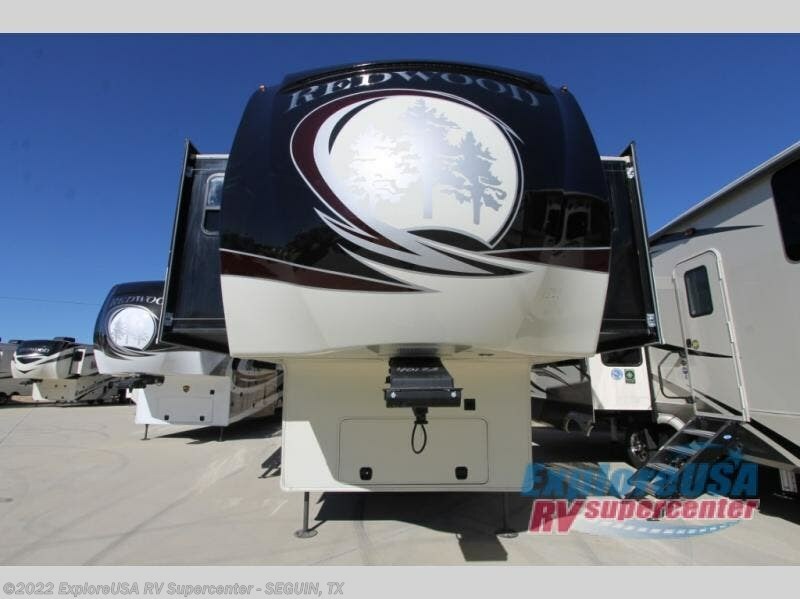 Spend your next trip in luxury with this Redwood fifth wheel!